Submit a Catch Report and/or Photo! Welcome the Belper & District Angling Club website. Our fishing club, located in the heart of Derbyshire, was established in 1892. Please browse our website to find information on the river, pond and canal fishing we offer, membership & day ticket information, as well as catch reports, club updates & news. Belper & District Angling Club is a fishing club based in Derbyshire, with a range of waters catering for coarse, match, specimen, carp, lure and fly anglers. These include stretches of river and canal, plus a fishing lake stocked with carp and mixed coarse fish. We operate an open membership which currently has no waiting list. Whether you’re a pleasure angler, a seasoned matchman, specialist angler or fly fisherman, we have a venue to suit your tastes. Belper is situated in the Amber Valley, right beside the River Derwent and on the A6 between Derby and Matlock, in the DE56 postcode area. Belper is a historic market town in Derbyshire’s Peak District, famous for the mills which form part of the Derwent Valley Mills World Heritage Site. 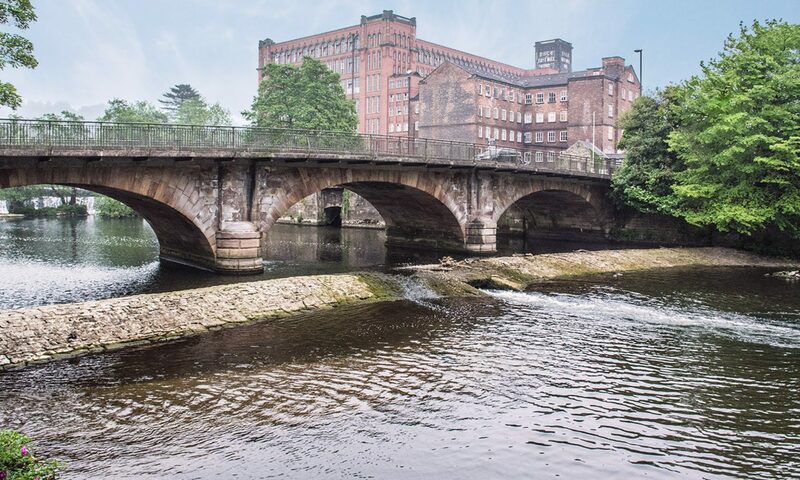 Belper’s picturesque location – helped by our very own River Derwent – makes it a popular destination for tourists and outdoor pursuit enthusiasts; anglers included! Much of our fishing is “wild”, and wildlife makes up a large part of the angling experience on our waters. There aren’t many venues around the country where you might witness a peregrine falcon fly past at full speed, whilst you’re fishing! There have even been sightings of rare pine martens at Belper! So, if you’re one of the many anglers who also enjoy wildlife, BDAC might just be the angling club for you. Belper & District Angling Club controls fishing on a range of 3 diverse venues in Derbyshire, offering anglers the choice of river fishing, stillwater fishing and canal fishing. Our oldest and most famous venue is a long stretch of double bank fishing on the middle River Derwent, stretching from Ambergate down to Milford. The Belper stretch of the Derwent is available to fish on day ticket, as well as being available to all members with a club book. The club runs the fishing on Wyver Lane Pond in Belper. This pond is available exclusively to members. It fishes well all year and contains a mixture of species, including carp to over 20lb. Another of the club’s venues is a mile-long stretch of the Erewash Canal close to Langley Mill. Fishing on the canal is available to members only and contains a mixture of species including bream, perch, carp and pike. Pike Fishing Hots Up on the Derwent! View an interactive map of all our venues on Google Maps.